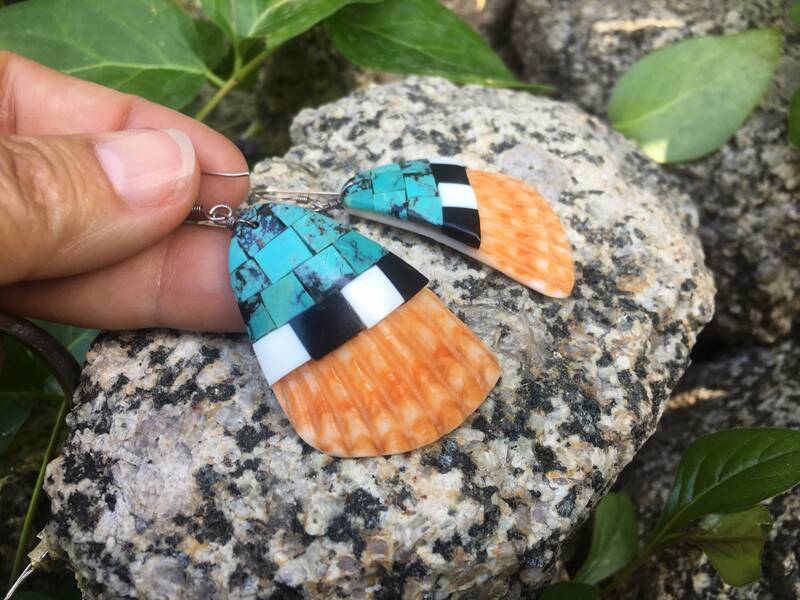 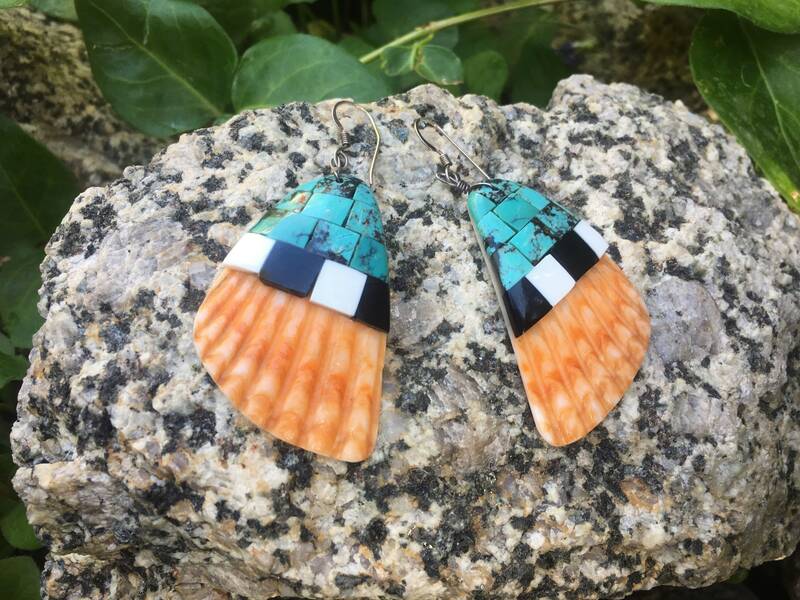 Unique pair of earrings, likely Santo Domingo but since they're not signed we call them Southwestern, that feature a portion of spiny oyster shell with pale orange and creamy white striation, and then shaped and laid on top are geometric pieces of turquoise with black matrix and a band of white catlinite and black onyx. 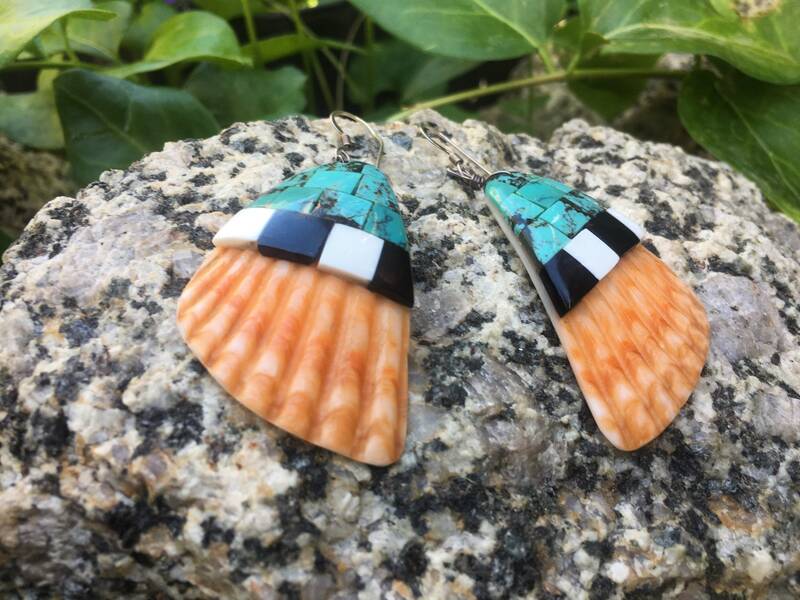 Light yet big, these are the perfect statement earrings for wearing all day if you wish. 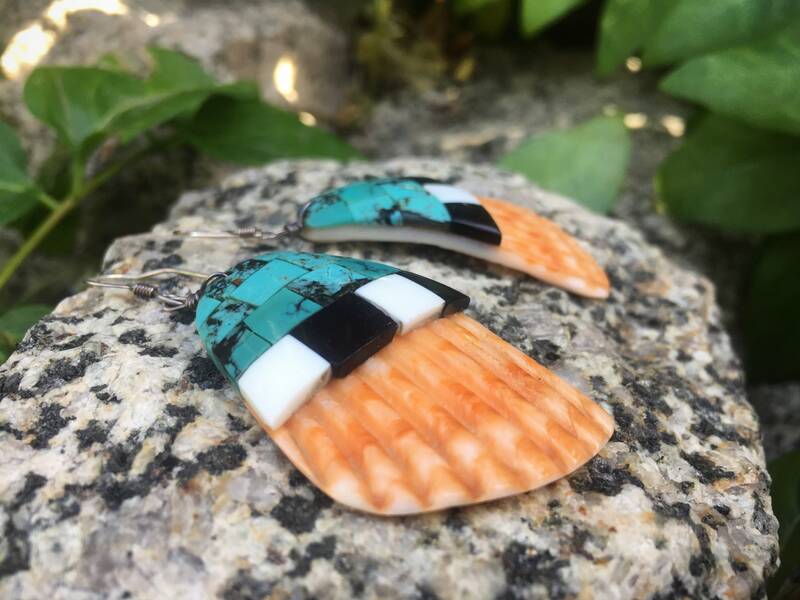 Each measures 1-3/4" wide by just under 2" long not including the French hook, and closer to 2-3/4" with hook included. 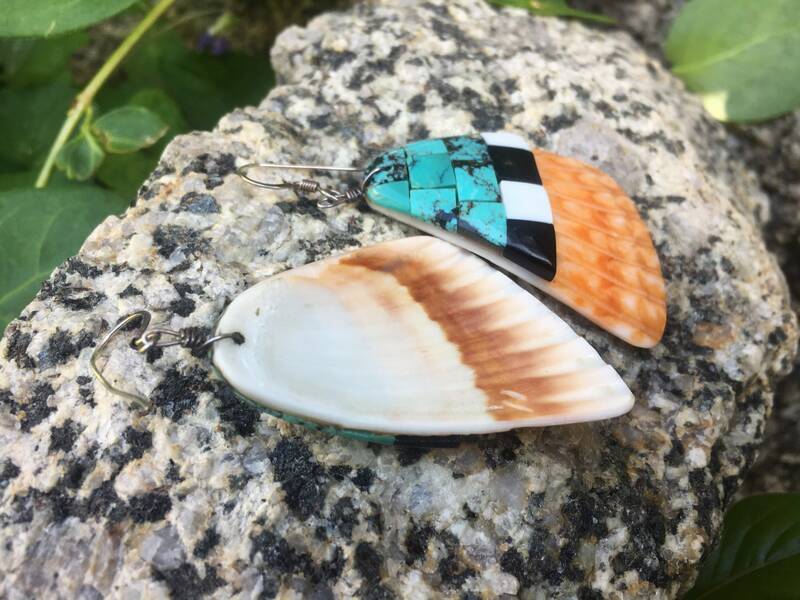 There are small gaps between the turquoise pieces but all are adhered quite well. 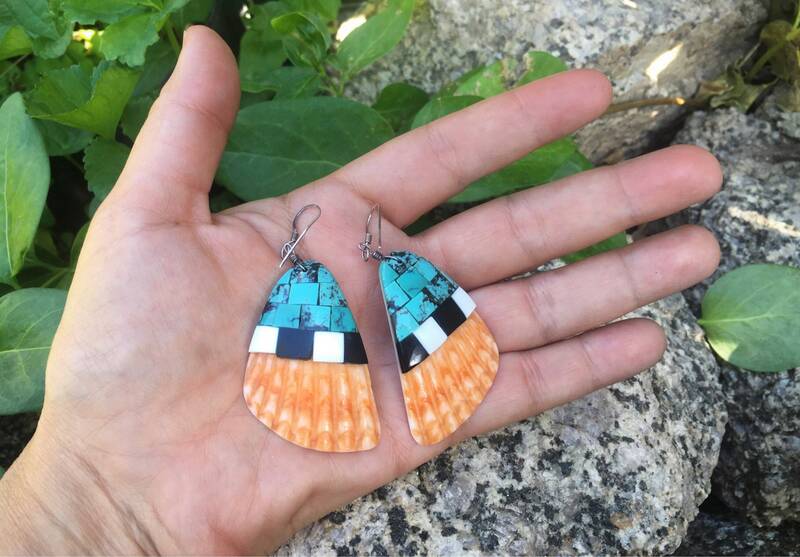 One of a kind artistry for the person who loves and wears stand out Native American jewelry.